We have news! As you may have seen on Instagram, we are on the cusp of an exciting beginning. A new Rikumo location is opening in Center City, Philadelphia very soon and we've been hard at work designing every detail, including the architecture of the store itself. When you think of Japanese architecture, the following elements may come to mind: rice paper screens, sliding doors, low ceilings, ornately thatched roofs--all plucked from various films or woodblock prints seen at places like the Philadelphia Museum of Art. However, urban buildings look quite different. 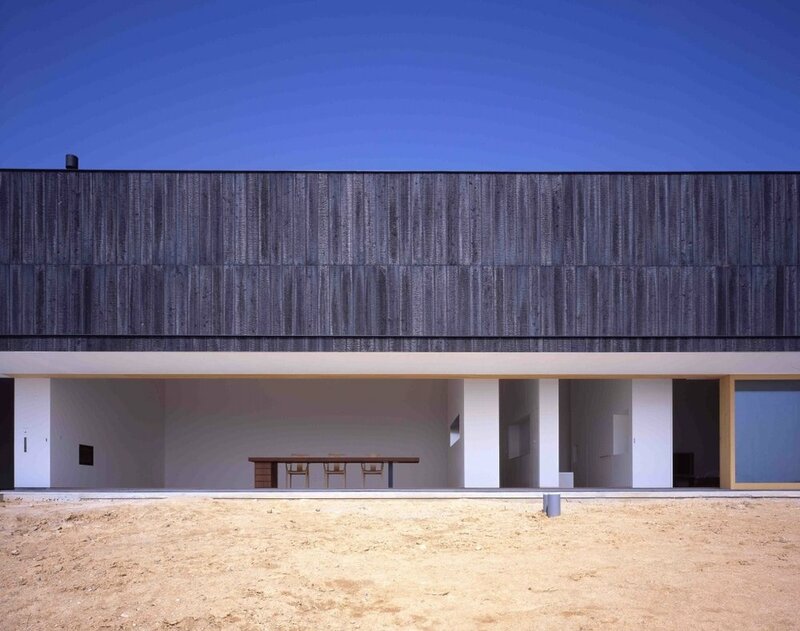 While traditional touches like sliding doors and single-story structures remain popular, contemporary Japanese architecture has found its own particular style in shades of minimalism. Modern Japanese architecture emphasizes horizontal lines, simplicity, and reflective spaces. Horizontal lines organically convey a sense of calm and peacefulness through a space, while reflective materials like glass suggest a contemplative view of the world. By incorporating wide glass panes in the design of a building, the inside of the structure is revealed to the outside world, which in turn reflects itself upon the panes of the building, merging both introspection and observation. Today, find some inspiration in two architectural projects that make use of line and reflection and have also influenced our own store design. Let these monuments to graceful creativity inspire you to find a sense of peace and balance in every part of your daily life. Before becoming world-famous for his 2004 renovation of New York’s MOMA, architect Yoshio Taniguchi designed the Tokyo National Museum's Gallery of Horyuji Treasures. The Gallery holds over 300 historical and artistic objects, mainly from the 7th to 8th Centuries, which were donated to the Imperial Household by Horyuji Temple in 1878. The Gallery’s horizontal framework, box-like skeleton and wide window panes illustrate a relationship between interior and exterior, transparency and opacity, solid and void. Against the visual overload and physical density of Tokyo, the calm and refined Gallery building stands as a monument to juxtaposition itself. 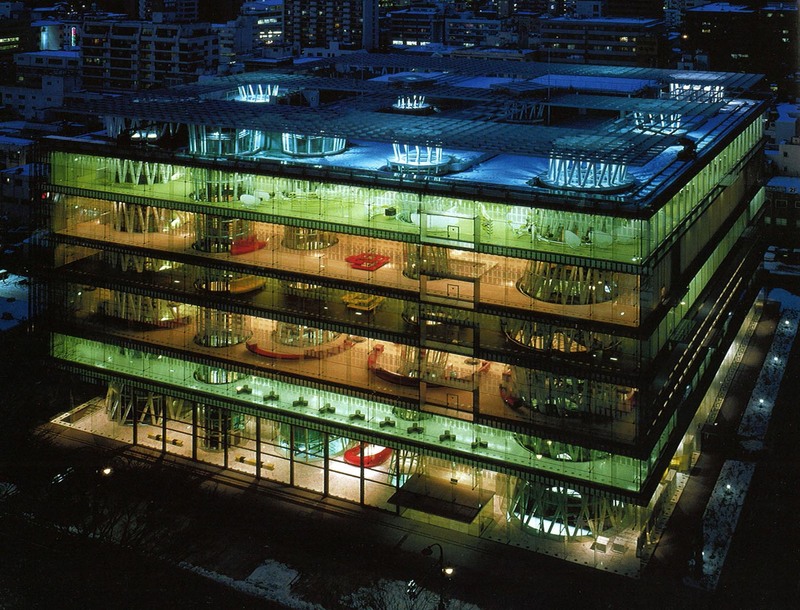 Sendai Mediatheque is a museum-library in Sendai, Miyagi Prefecture, Japan. It was designed by Toyo Ito, a conceptual architect who through his projects explores the role of technology in our lives and the relationship between the physical and virtual worlds. As a library, Mediatheque’s mission is to be barrier-free, providing services to those with visual, auditory or other physical impairments. Likewise, Ito’s vision is conceptually rooted in the “fluid” space of technology: a virtual landscape with no barriers or limitations. The cubic structure of the library then works as a small representative element of an infinite information space. Its four edges feature horizontal glass facades that reflect both the outer world and the inside of the building, allowing the building to form an ephemeral connection with infinite space. Japanese architecture has an experimental quality that is both radical and logical, eager to experiment while still being deeply rooted in values that stress the harmonious balance between building and nature. In this way, conceptual and futuristic though they may seem, such buildings are an extension of our environment and the ways in which humans see themselves reflected in nature's horizon. The grandiose traditional houses of the past, then, are not gone; they have been re-imagined in tall ceilings and glass mirrors. As the lines move us forward, blending with the horizon, one thing is clear: the work continues.